Pink Elephants Video Slot is a game that didn’t get a lot of traction when it landed in the lobby of online casinos in 2017. However, ever since its release many avid casino players learned that the real beauty of this 4096 ways to win game is in the innovative Free Spins bonus. Indeed, this slot not only has an excellent achievement builder but the features you’ll trigger in the bonus itself means that you can literally spin for free forever! Curious? Then don’t miss the review below! Despite the fact that Pink Elephants Video Slot offers 4096 ways to win which is a great appeal for many players. This game also has an excellent Free Spins bonus with a progression feature. To activate the bonus, you’ll need 3 or more peanut symbols, and they’ll randomly appear on the game grid as you play. The maximum amount of Free Spins you can trigger at once is 19. And you’ll need 6 peanuts symbols to receive the maximum amount of Free rounds. But don’t worry if you triggered the feature with 3 Peanuts and received 7 Free Spins, you’ll still have plenty of opportunities to win more in the bonus itself. So after activating the Free Spins, have a look on the left-hand side of the reels where you’ll see 4 meerkats. Each meerkat is surrounded by 10 little swirls which are in fact, the achievement meter. You’ll fill up the meter by collecting Pink Elephants symbols. And, of course, once the meerkat’s meter is full, all corresponding symbols will turn wild on the reels. Which consequently will help you fill up the 3 remaining meters. Additionally, it’s worth knowing that every time you fill up a meter, you’ll receive 1 extra Free Spins. What’s more is that you’ll also get even more Free rounds when 2 or more peanuts symbols land in view. 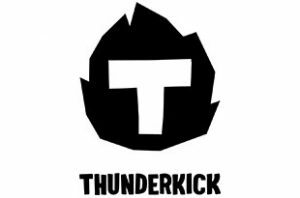 In all honesty, we’re not really surprised to see another great game by Thunderkick. In fact, this game studio certainly has a flair for creating slots with engaging game mechanics. And perhaps the most appealing thing about this game is that you’ll progressively get extra Spins in the bonus. But also that very much like in the base game, the numbers of peanut dictate the number of extra rounds you’ll re-trigger. And this combined with the meerkat achievement builder features means that this game indeed is excellent! What’s more is that this slot is also available in mobile casinos. So you can play it on the go if you want! Try it now and see how many Free Spins you’ll play in the feature!